Keeping it simple & practical, and starting early = holiday organization. There are some super-cute printable planners available as well. This will be my route for Christmas 2015 – I’m going to make a whole binder! With a baby coming at the beginning of Advent, I need all the organizational help I can get. Here are two of my favorite FREE sets: (cute set #1 // cute set #2) They’re so adorable I may use both. If you’re more of a wired person, I recommend using the Evernote app to keep your brain and planning in order. Available + accessible on all iThings and really slick to sort and organize. Last tip: do this now, before Thanksgiving meal planning looms and Christmas party invitations arrive. If you don’t already have a gift list started, or a list of activities you’re hoping to do this autumn, it’s time. Grab that notebook, open that app, and get organized before you’re in the thick of it all! 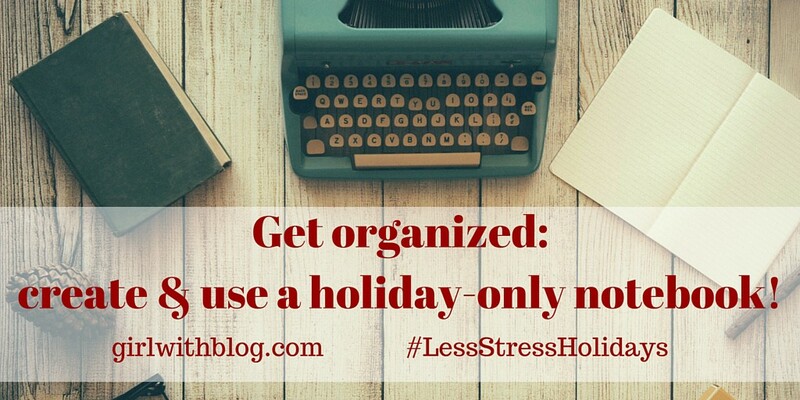 Grab a notebook, open that app, and get organized before you’re in the thick of it all! <– tweet this! Keeping it simple & practical, and starting early = holiday organization. <–tweet this! Great idea! Those sets are super cute too. Oh my gosh! Lobe this series because I LOVE Christmas! I was looking for a blog that could help me to be more intentional and LESS stressed out this holiday season! So, thank you! I am looking forward to the next 29 days! Thanks Noelle!! So glad you’re here! Nope – I’m a cute notebook girl 😉 But Evernote works great for other note-taking projects for me, and my husband LOVES it for his own notekeeping systems. I printed out the first set and I am so excited to start filling it out! 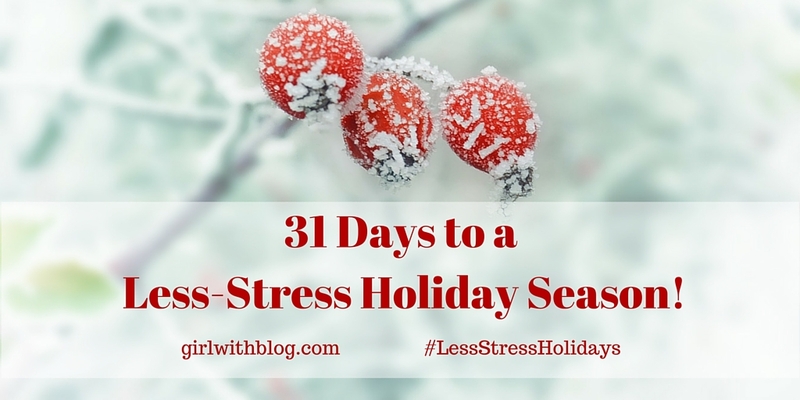 Thank you for this, I am also loving all your other “31 Days to a Less Stressed Holiday Season” tips. I love the holidays and they are more special with my 2 little boys!!! !